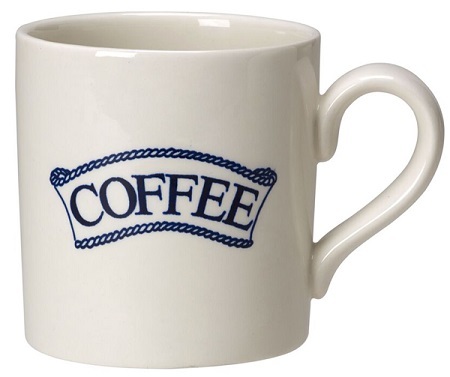 DARK BLUE Pantry Range Mug, made in England by Burgess and Leigh. Brand new and first quality, dishwasher and microwave safe. Blue printed backstamp Burleigh Pantry Est 1851 Made in England.